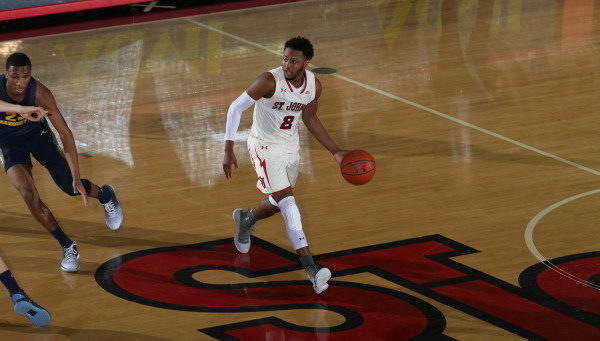 After helping the Red Storm extend its unbeaten streak to nine games to start the season, Shamorie Pondshas been named to the BIG EAST Weekly Honor Roll, it was announced by the league office on Monday afternoon. Ponds, who was named the conference’s player of the week on Nov. 26, has found a spot on the league’s weekly honor roll for the third time this season. In total, Ponds has garnered recognition from the conference office four times in just five tries this year. 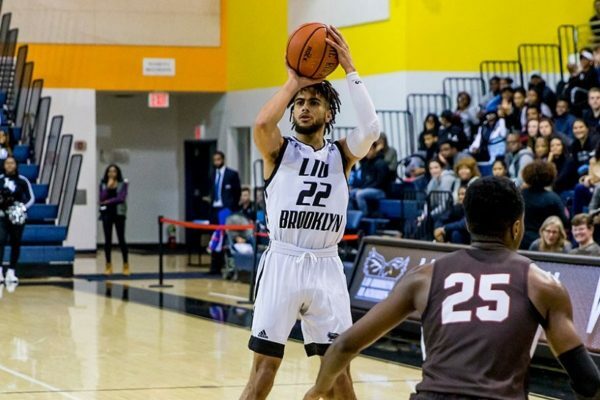 The junior guard from Brooklyn averaged 18.5 points, 6.0 assists, 5.0 rebounds and 3.0 steals in two victories over Mount St. Mary’s and Princeton, helping St. John’s remain undefeated on the campaign. 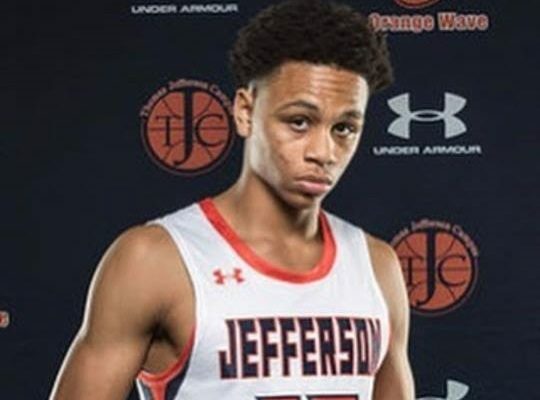 On the week, he shot 56.0 percent from the floor and a perfect 7-for-7 from the free throw line. On Wednesday night against the Mountaineers, Ponds netted 11 points to go along with seven assists and five rebounds. The southpaw’s seven helpers matched a season-high and he surrendered just one turnover in 33 minutes of action. 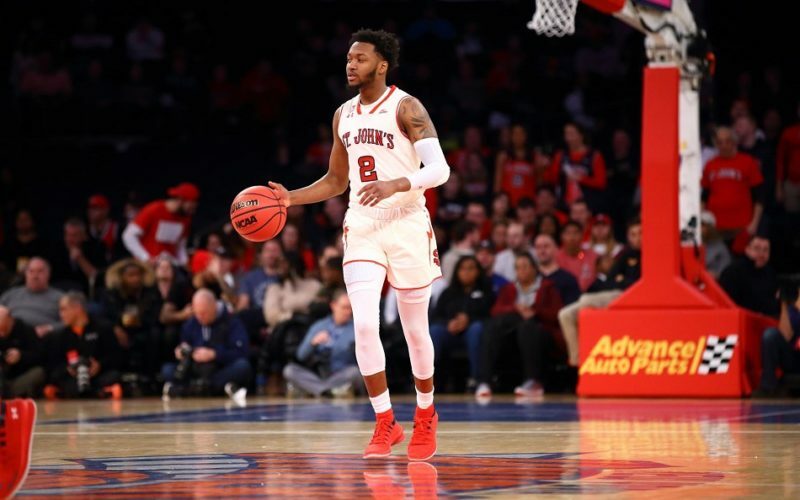 Four days later in the team’s debut at “The World’s Most Famous Arena,” Ponds dominated the second half to help St. John’s pull away from Princeton. 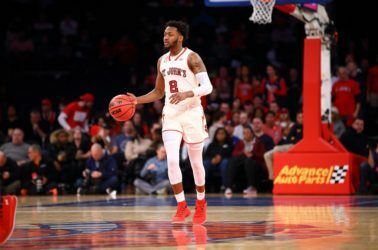 The BIG EAST Preseason Player of the Year scored 18 of his game-high 26 points in the latter stanza, helping the Johnnies turn a three-point halftime edge into an advantage that ballooned as high as 19 down the stretch. 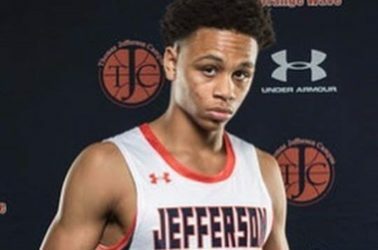 On the game, Ponds shot 11-for-18 from the field and 3-for-3 from the charity stripe while also collecting five rebounds, five assists and three steals. Ponds, who ranks third in the league in scoring average with 21.6 points per game, currently leads the BIG EAST in both assists (4.9 apg) and steals (2.8 spg). 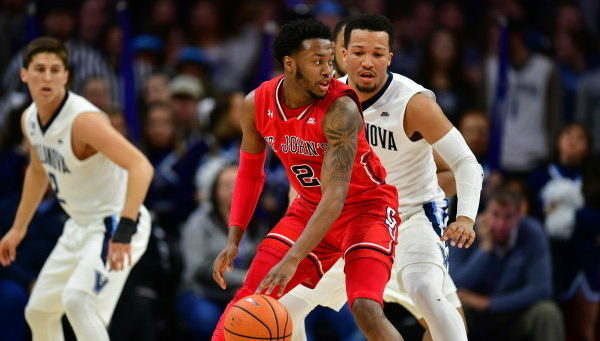 One of just nine unbeaten teams left standing in Division I, St. John’s is off to its best start since 1990-91. A win on Sunday against Wagner would make this year’s Johnnies just the seventh in program history to start a campaign with at least 10-consecutive wins.